Fly line stretch is a key element in how it performs while casting, line control, take detection and hook set. ultimately if you reduce the stretch, you improve all of these factors, and thus a superior performing fly line. 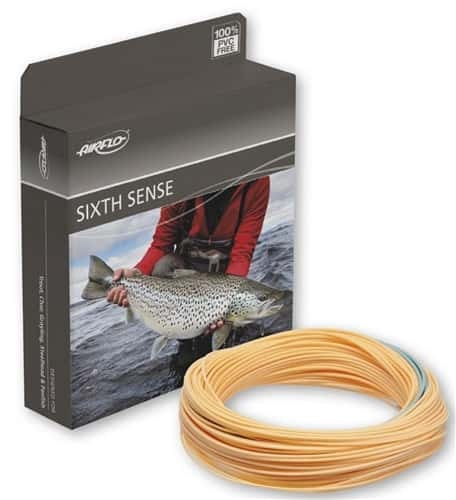 In recent years, the Bass guys may have borrowed the idea for a low stretch fishing line from us with their obsession for latest super braid lines, but with our Sixth Sense range of fly lines we’re taking the concept back for the fly fisher. Sixth Sense lines have just 6% stretch compared with the 20% in other manufacturers fly lines… less stretch equals more fish. Discover your Sixth Sense.